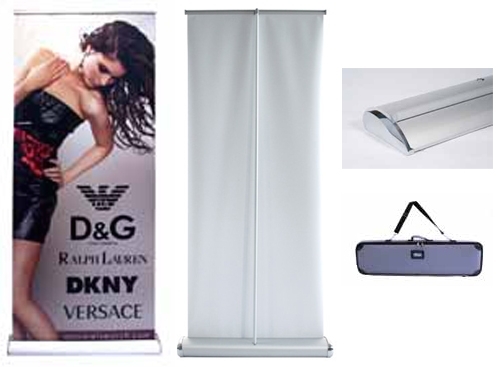 #ORIENT60 Premium Retractable Banner Stand 60"
The Orient is a simplistic and elegantly designed banner stand, 3 piece bungee ple, and adjustable leveling feet. It is finished in anodized silver with heavy duty molded end plates. Padded carry bag is included. Banner is printed on Super Flat Vinyl. Fabric banner is optional. Price includes: Full color on one side (Stand w/ Graphic). Imprint detail: 60'' x 82'' on Front.